Professional Home Organizer in New Haven, CT! Need help with your closets, kitchen, bedrooms, craft rooms, children’s rooms, storage areas, garage, basement, attic, or even the whole house? As a Professional Organizer, I specialize in helping you clear the clutter from your house so it can become a home. 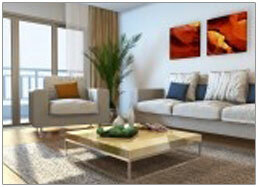 When it comes time to sell your home, 76% of realtors recommend home staging. By using home staging, you will command a higher asking price for your home, as well as shorten the time it takes to secure a sale. 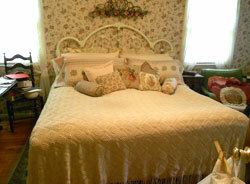 Let Elaine stage your home for resale. Does it feel like time is NOT on your side? Working together we will take a look at the “want to” and the “have to” of how you spend your time. And since tracking your time is very important, we will discuss what type of calendar fits your style. Contact Us for a quote today to get organized! Are your photos sitting on memory cards, in bins/boxes, or lost on your computer? Do you want to be organized, but don’t know where to start? Established in 2006 by Elaine Johnson, Personal Touch Organizing has one goal in mind – to help individuals and businesses get more value out of every minute. I am here to help you organize almost anything, including photos and documents, your closets, home office, kitchen, garage, entire home and even your life! My professional organizing and lifestyle management services are designed to give you back your space and time, while implementing fresh and innovative principles with YOUR unique needs in mind. 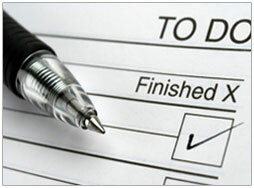 For examples of previous organization & decluttering projects, visit my Before & After page. Based in Connecticut, I have created an incredible network of resources and established relationships over the years giving me the ability to tend to any needs you might have. If you are overwhelmed by the clutter and disorganization in your home or work life, or by the boxes, bags and bins of family photos that need organizing, contact me to find out how I can help you. With this vision, I collaborate with you to create personal organizing systems and routines. Working one-on-one, I share organizing concepts, tools and training throughout the project. Not only will you successfully reach your goals, our sessions provide initiative, incentive, and empowerment to get and stay organized.